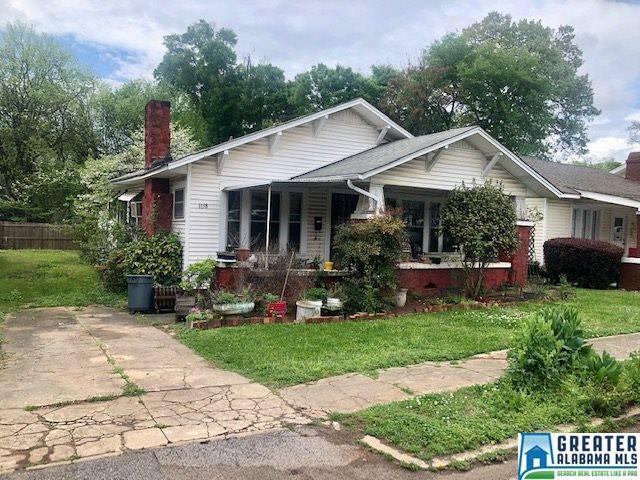 1138 14th Ave S, Birmingham, AL.| MLS# 846344 | Richard Jacks UABLIVING.com 205-910-2297 | Birmingham AL Real Estate | Contact us to request more information about our Homes for Sale in the Birmingham AL area. Great opportunity in Glen Iris/Southside area! Here&apos;s your chance to turn this 1930&apos;s bungalow into someone&apos;s dream home. Fantastic location: across the street from Glen Iris Elementary School, 2 minutes to Glen Iris Park, 4 minutes to George Ward Park, 3 minutes to Dreamland BBQ, 2 minutes to UAB Highlands, the Pita Stop, Saw&apos;s Southside, and The Alys Stephens Performing Arts Center... you could literally walk to all of these great spots!! Investor special! House on the corner sold for $133/sq ft as a 3 bed/1 bath moderately fixed up. Per seller, this home could possibly become a 3/2 by building out a second bathroom in the laundry area. Home to be sold AS IS. Driving Directions: I 65 N Toward Birmingham. Take Exit 258 Onto Green Springs Ave. In 1.5 Mi, Turn Right Onto 14th Ave S. The Home Is On Your Left.